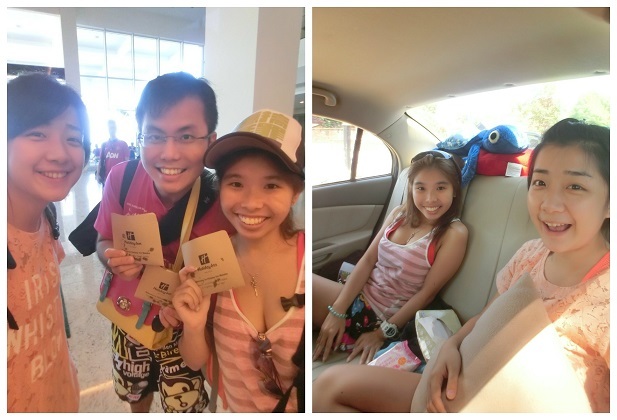 So today I will be sharing with you what are the things that you can do in MALACCA~!!! Let me introduce to you our FOXIES Minus 1 explorer for today~! 1) A selfie camera so you can take selfies! 4) Snacks / Water / Pillow / Blanket …… etc etc…. Lastly…. 5) MONEY~! If forget to bring anything then have to buy lor! And now…. Let me bring you to MALACCA. Malacca can be also know as Melaka (Malay Spelling). A little history class here. So now we have come to the main topic today! So what exactly can you do in Melaka? What is the 15 must-try stuff in Melaka? Very traditional itinerary for a Malacca trip. But today I am gonna show you the unconventional & innovative things you can find in MALACCA~! Malacca is no longer a historical place only. Not just a place for history lesson.. You can play & have fun here too~! So what exactly you MUST DO in Melaka? Let Ger’z World show you today~! Situated along Jalan Hang Lekiu, Theme Home Sweet Home offers cosy and modern accommodation within a convenient 100 metres from Jonker Street. Free Wi-Fi access is available in the entire property. Fitted with carpet flooring, air-conditioned rooms feature unique and colourful themed décor. Facilities include a minibar and a flat-screen TV with satellite channels. The en suite bathroom comes with shower, hairdryer, bathrobes and free toiletries. Theme Home Sweet Home has a gift shop selling specialised themed products. Free parking space is available for guests who drive (must come early to secure the parking lot), while complimentary breakfast is served daily at the restaurant located nearby. The setting of the cafe is very nice and sweet due to the Hello Kitty wallpaper. However the kitchen area is a little messy. Must do stuff: Take Selfies with the wallpaper. Food waiting time is about 1 hr due to a lack of manpower on the day of visit. But the food is incredibly yummy! Must order food: Tomato, Scrambled egg, Hash brown and also their hotdog! As a ★★★★ Hotel, the kind of service they provide is totally up to standard! The room itself is pretty big and it has a bathtub too. Pillow has different hardness too, Soft, Medium, Hard for you to choose from..
Bellboy is extremely friend and helpful too. Room service is awesome too. They have a nice cafe which sells nice cakes. We ordered Pistachio New York Cheese Cake and we are entitled to a 15% discount because we are the hotel guest. The celebration today is to celebrate Kiko & Gerlyn Friendship Anniversary of Seven Hundred and Seventy Seven day! 777days! Cheers to some apple ciders sponsored by Somersby. NEXT…. Must do in MELAKA Holiday Inn Hotel! Number 2) Enjoy a morning swim in Holiday Inn Melaka Infinity Pool~! Grab your coolest bikini, grab a friend for a morning swim! From 8am – 10am, the pool is the quietest! As if me & kiko has it as a private pool! Maybe there is 2 more guest in the pool but still the pool is so nice that you hardly have any photobomb! After a good swim, i bet you are feeling hungry too~! Number 3) Enjoy the best 4 star hotel breakfast from 7am to 11am. They have huge variety of good food here and you will have a hard time choosing. Personally I prefer this noodle counter! I have so many noodles and ingredients for you to choose from. My favourite is this Clear Soup Maggie Mee.. I had 3 bowls of it! And you must try their Omelette too~! Unlike some hotel, Holiday Inn Breakfast actually have someone to do table setting for you and clean up your table as long as you are finished! They also give out FREE COOKIES to check out guest! And this is why we love Holiday Inn! Next up in my must-visit list is….. The olden days street setting allow us to go back in time to the 80s! Agogo & retro style! It would be able to have some nice photos captured here too. What’s best about this Food Paradise? It is fully air-conditioned! The food is also yummy too. Kiko Highly recommend: Claypot rice for main course! I recommend: Papaya Milk Shake plus Japanese Popiah as appetizer! As for dessert, WE ALL RECOMMEND this Durian Egg Pudding! Made using real D24 durian! It’s smooth, it’s silky and the durian taste is so rich! Yummy x1000! If you are not a Durian Fan, fret not! I recommend you to VISIT….. Number 5) Try out Tutti Frutti Frozen Yogurt New Taro-flavoured yogurt! Their yogurt is weigh by grams so you can take as much as you like! No more restriction for 1 small bowl! I pick and mixed Taro (New Flavour) , Vanilla and also Green Apple Frozen Yogurt! After all the makan session, what can you go in the Megamall? Location: Right outside the Underwater world! You can play shooting game using rifle and darts throwing games too. See how Yang Hui Kiko fared in these games! Next time better not 得罪 her..
After playing, it is time for…..
Not alot of photos taken here because I am busy shopping! After shopping what can you do? Take some photos with the Train and act as if you can stop the train from running you over~! It’s the handicraft promotion center where quality products such as batik, canes, bamboo, ceramics and other wares are carefully selected as exhibits based on workmanship and design. Made by local craftsmen, the products can be purchased as souvenirs. The centre also has an archieve corner to enlighten visitors on the subject local handicraft. The centre is open from 9 am – 5 pm everyday except public holidays. Be it day or night, sitting on the rickshaw gives you a very different feeling. You can choose rickshaw of your own choice and bargain for the price you deem suitable. I am going to try this Hello Kitty Rickshaw~! Bye! 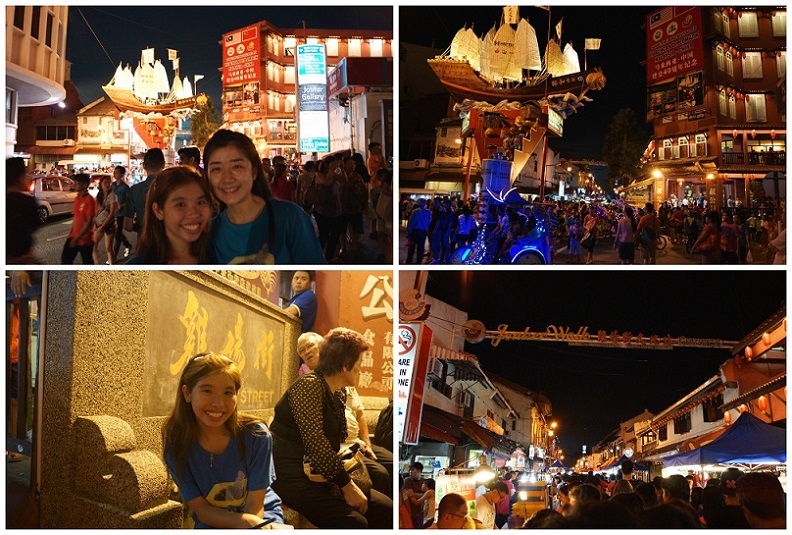 Enjoy the 夜市人生 here… Bargain for great deals and take some pictures with the statues too. Number 13) Enjoy a bottle of Soda Pop @ Jonker Street! Number 14) Visit Maritime Museum & Take photo with this Flor De La Mar Portuguese ship that Sanked. Number 15) Visit Melaka Wonderland! 1.5 hours from Kuala Lumpur International Airport and 3 hours from Johor and Singapore. They have a lot of slides and very little restrictions on clothings, googles and even cameras and hand phones! So we took alot of photos too! Thanks Casper for helping us to take these photos too! They have mini slides for those we are afraid of water. The best slide we loved the most if this WAVE RACER! Look at how much fun I had! They also have a big wave pool too.. However the wave waiting time is quite long. We also found a new friend here! 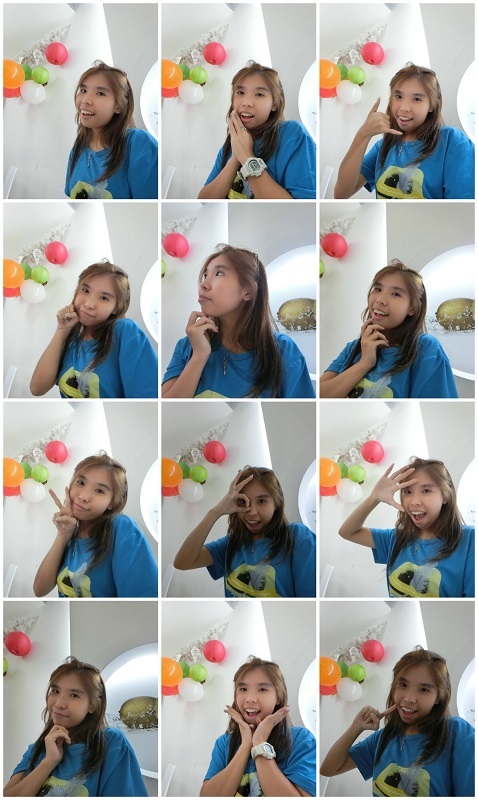 She is from Johore~ So thats all on my post today~! This also marks the end of the AWESOME Melaka Trip~! :) Bye guys!